A part of the Rathaus-Glockenspiel attraction in Munich, Germany. 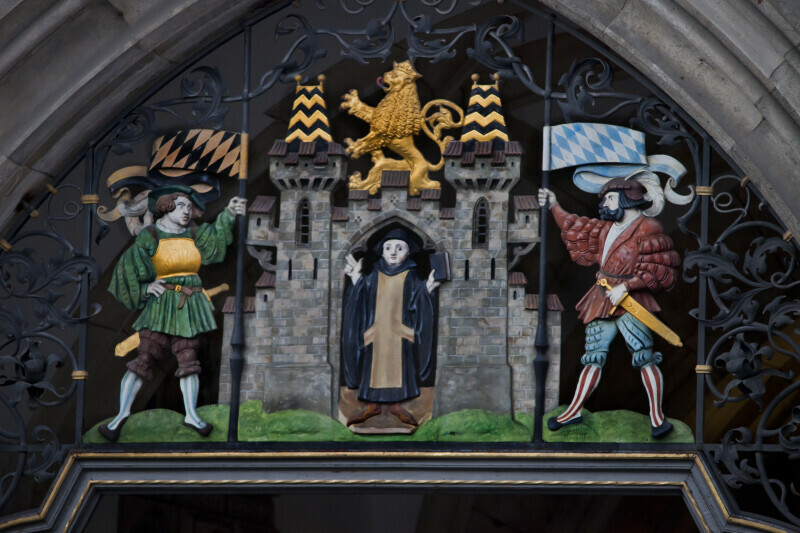 The Rathaus-Glockenspiel chimes and re-enacts two stories from the 16th century every day. The New Town Hall is a town hall which hosts the city government, including the city council, offices of the mayors, and part of the administration.